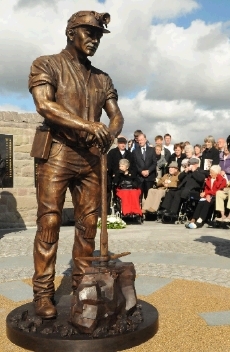 Willie Doolan, Ian Lowe and Danny Taylor of the Auchengeich Memorial committee selected John McKenna as their preferred sculptor for the commission. 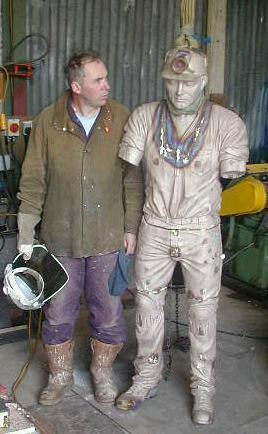 Working in association with North Lanarkshire council and funded by a private patron, John began the commission. 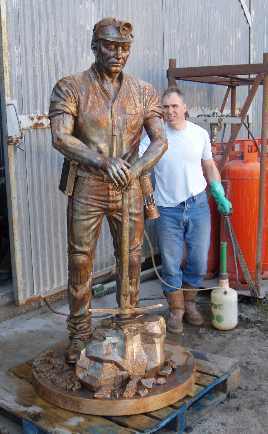 The statue being unveiled by the Rt. Hon. Alex Salmond MSP, First Minister of Scotland the Rt Hon. 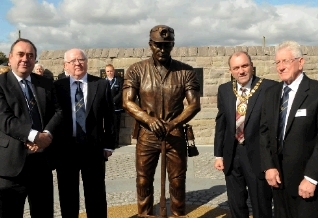 Tom Clarke MP and Tom Curley, North Lanarkshire Provost with Ian Lowe of the Auchengeich Miners Welfare on the right. 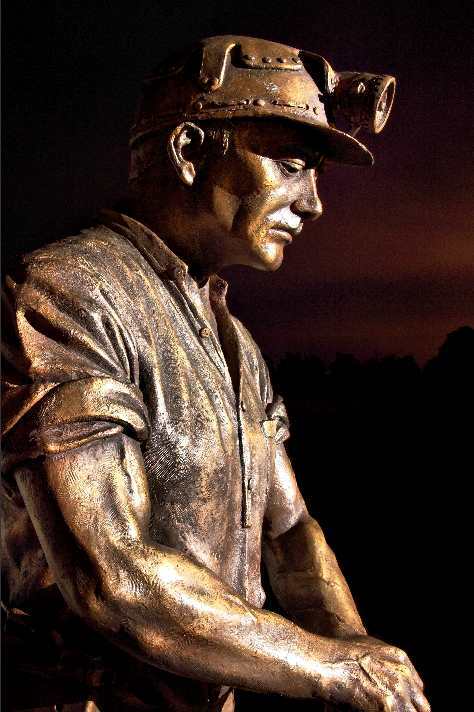 Below the miner on site and below right the Rt. 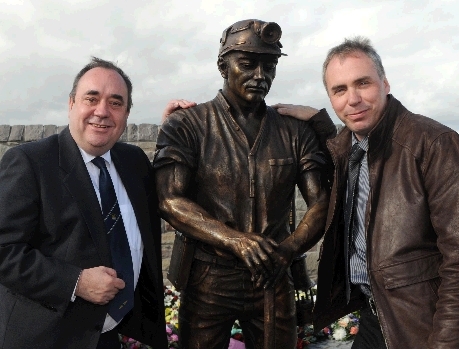 Hon Alex salmond and John McKenna. 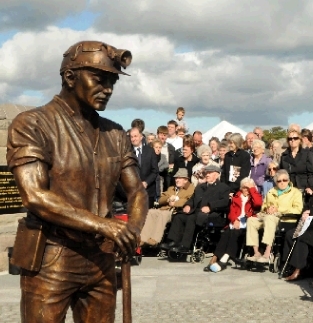 John modelled the claywork using historical references, and with the Miners committee truly delighted with the result took the work to the next stage, casting in bronze.John McKenna has his own bronze casting foundry, which allows him to maintain the highest quality control over the sculpture. 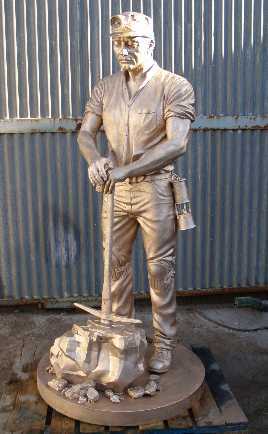 Aided by his two sons, Alex and Thomas, using the ceramic shell casting technique, John cast the miner in his studio foundry. 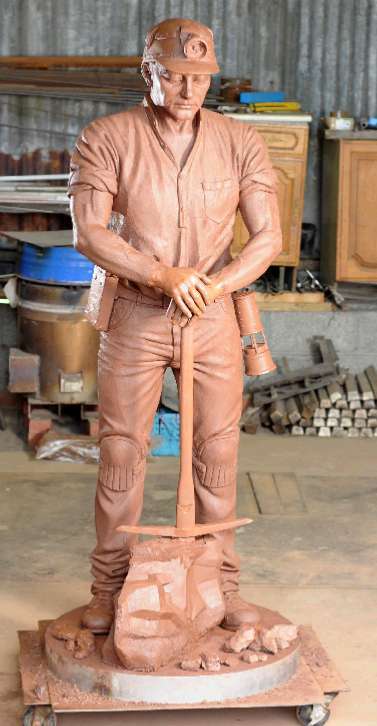 This allowed the clients and the council to visit and see the complex procedure of the making of a statue, an enlightening process for all of them. 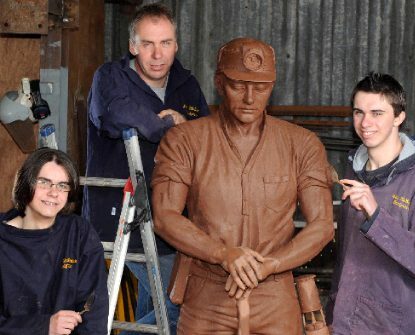 Above picture shows John McKenna with his two sons, Thomas and Alexander, who helped him create the claywork for the statue and cast the statue in bronze. 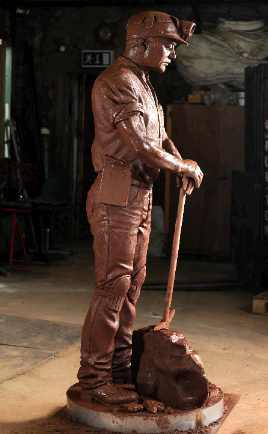 The statue was cast using the ceramic shell lost wax technique into bronze at the John McKenna's A4A art Studio bronze foundry. Unveiled 20th September 2009, read below for more details and pictures.